Based on reviews from 28,369 users. 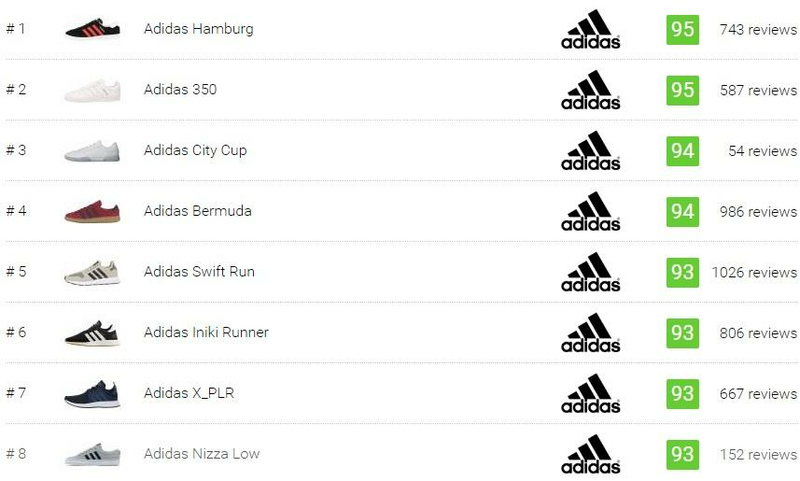 Learn how our rankings work or see our guide to Adidas Originals sneakers. Updated Apr 2019. "Once Innovative, Now Classic, Always Authentic." Re-introduced - iterations that are remakes of the classic sneakers offered in limited volume. Re-interpreted - sneakers that are based on the authentic sports version but revamped the color, materials, and few details. Re-designed - these are modernized kicks inspired by the old Adidas Originals in terms of style and craftsmanship to fit into the current fashion setting. For buyers who are having difficulty in deciding which of the Adidas sneakers they would choose, our team collated some of the most notable Adidas Originals sneakers from the Three Stripes' archives with brief narratives to help the buyers in picking the kick that will suit them. Since 1965, these kicks have been rocking the green courts and the city streets with its simplicity which made it so classic and influential. In 1988, 2 million pairs of Stan Smith were sold around the globe. Adidas made one major decision in 2012 - the company terminated the production of Smith due to congestion in the market. Two years of being off the rack, Adidas Stan Smith made a huge comeback in 2014. This model has been tagged as one of the most successful basketball silhouettes launched in the market. In 1969, the Adidas Superstar was the first ever presented basketball footwear in the market with low-top profile and made of a full-leather upper. It was coined 'Shell-Toe' by the iconic NBA player Kareem Abdul-Jabar for its toecap that resembles a shell. This timeless feature held a significant role in the rise of the modern sneakers culture. During the downhill plunge of Superstar's sales in the market, the hip-hop culture resurrected the silhouette when the shoe was seen worn few times by the famous hip-hop artists in their concerts, and albums covers. It was the first time music and sports brand partnered to market a product, and seamlessly, it turned successful. Initially launched in the 80s, the Campus sneakers were unveiled as basketball footwear and initially called the Tournament. The Campus model was dubbed as a low-key sibling of the more popular models Superstar, Gazelle, and Stan Smith. This model was able to cross the Adidas Originals sneakers category when a renowned hip-hop group Run DMC and Beastie Boys were seen sporting this silhouette during their peak years in the 90s. In 2015, Adidas thought of launching a design not specifically for any sport, but just for traveling along the streets. The brand christened it as the NMD and was designed by the Adidas veteran designer Nic Galway who wanted a design that has a unique profile and very identifiable even from afar. He then took inspirations from the archives of Adidas and modernized it and incorporated everything he wanted in shoes - simplicity, and functionality. Like any other famed shoes, NMD has been resold as much as 1000USD. The high demand for these Adidas Originals sneakers are not due to the people collecting them, but for people who are going to use them- children, tourists, and workers. The high demand reflects the comfort this shoe delivers to the wearers and how established the association of these shoes with the general consumers. The Gazelle was molded from 1960s Rom silhouette, face-lifted with white 3-Stripe logo, bright-colored suede upper and T-toe overlay that serves as the iconic element of this model. In the 80s when the pop-culture dominated the market, Gazelle sneakers were spotted worn by the several celebrities, such as Bob Marley, Michael Jackson, and the legendary Run DMC hip-hop group which landed them a $1 million endorsement deal with the Three Stripes. These Adidas Originals sneakers were originally created as the go-to footwear for soccer training and launched in a simple design that can also be used for casual events. Just like the other iconic profile, the Gazelle has undergone several overhauling to fit various preferences of consumers. As the years' pass, the Gazelle opened up with using several modern materials in various color schemes. In the early 90’s, The Three Stripes was in near bankruptcy. One of the engineers of Nike Air Jordan 1 named Peter Moore joined Adidas and conceptualized the Equipment Range or the EQT Line. This series eliminated all the unnecessary and focused on delivering high-performance and comfortable footwear for running. Because of the unique outsole design of the Tubular, these sneakers easily gained popularity in the sneakers' domain. Its design was taken a cue from the inner tubing of car tires which displays an element that is ahead of its time without being too pricey. While it was not readily embraced when it was launched in 1993, the company decided to resurrect it in 2014. After five years of research, the brand successfully combined history, sports, and style in the modern Tubular iterations. These football-inspired Samba Adidas Originals sneakers were designed to keep its wearers' feet dry and covered from the icy ground during the winter games. It was introduced in the 50s and clad with kangaroo-leather on its upper rested atop a durable, grippy, and flexible gum rubber outsole. Because of its simplicity, these kicks effortlessly turned into an essential piece in the street-wear fashion. Several celebrities donned these kicks which landed the brand to come up with an idea of revamping this model to suit the various needs of a wide array of consumers. These sneakers were introduced as running footwear in 1984 that cover a vast range of consumers' needs - from terrains to roads, for short distance to long-range run. 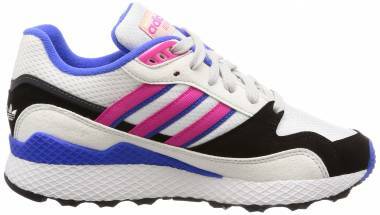 The ZX easily turned as an iconic profile for its innovative technologies inserted over time to fit specific types of runners. 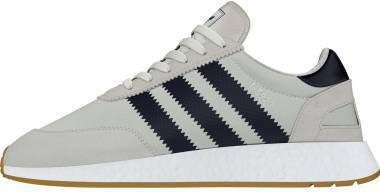 Adidas I-5923 - Launched in 2016 as Iniki, these Adidas Originals sneakers display an upper that resembles the Gazelle. The brand tweaked this classic silhouette with Boost midsole to supply unmatched comfort. Adidas A3 Twinstrike - Adidas unveiled another sneaker from their archive known as the A3 Twinstrike that first utilized the A3 cushioning system during the early 2000s. What made this kick striking is its elevated heel to enhance the comfort and add notable style. Adidas Boston Super Primeknit - To pay homage to the annual Boston marathon, the Three Stripes launched the Adidas Boston Super in 1984. In 2017, the Adidas and the Mountaineering collaborated to modernize the iconic Boston silhouette by using the Primeknit upper. Adidas Deerupt Runner - Debuting in 2018, these Adidas Originals sneakers display simple and unique features encased with webbing details to make it more attractive. These kicks use midsole inspired from the 70s running footwear to add some classic element to this modern sneaker. Adidas Dragon OG - These sneakers were initially unveiled in 1971 as the first running shoe with nylon upper. These sneakers turned an instant favorite on and off the track; thus led the Adidas to conceive a street-ready version of the Dragon. Adidas Berlin - Part of the European City Series, these re-issue versions of the Adidas Berlin feature premium suede upper seated atop a rubber outsole. These blue sneakers flaunt its upside-down Berlin typescript to add a luxurious vibe to these must-have classic kicks. Adidas BW Army - With its colorful history, the re-introduced BW Army sneakers feature the classic details revamped with minor facets for the modern consumers. It displays a luxurious design yet offered at an affordable price point. Adidas BW Avenue - These modernized 70s training kicks feature few court-classic elements to suit the street-fashion. These Adidas Originals sneakers brag its unmatched comfort, lightness, and sleek style that suits the casual fashion. Adidas Hamburg - These street-ready Adidas Originals sneakers were originally celebrated in the 80s as part of the City Series. It displayed a slim silhouette clad with premium materials and details and eye-catching gum rubber midsole. Adidas Montreal 76 - The Adidas Montreal 76 are men-specific lifestyle sneakers that display retro-vibe yet with an on-trend look. These kicks are offered in two colorways and can work well with any laidback attire. Adidas Munchen - The Adidas Munchen sneakers stayed authentic to its heritage twisted with modern features to make it more stylish. These Adidas Originals kicks have been praised for its all-day comfort and versatility that can go well with any attire. Adidas 350 - In 2017, Adidas re-introduced their classic silhouette for the modern shoppers called the 350, which was originally made available in Japan. These sneakers are dressed in a mixture of soft leather and synthetic leather offered at a very budget-friendly price range of $80. 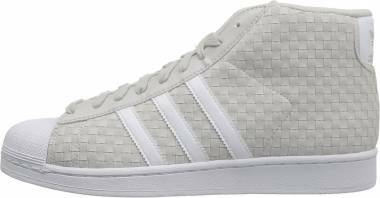 Adidas Advantage Clean VS Lifestyle - These Adidas Originals sneakers are often called 'a practical alternative to the Stan Smith' as they both display simple, stylish, and versatile leather tennis-inspired look. The minimalist design of these kicks allows them to be used in virtually any casual ensemble. 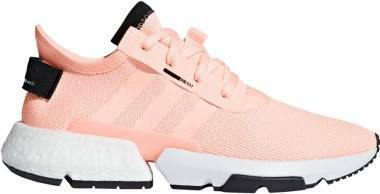 Adidas Everyn - These women-exclusive sneakers were launched in 2018 that display futuristic and minimalist look with hints of its heritage elements. 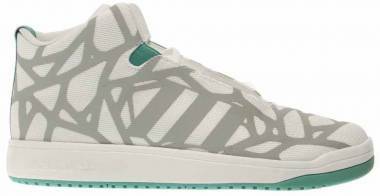 These kicks flaunt few Stan Smith and Superstar features that make these shoes more charming. Adidas Forest Hill - These sneakers originated in the Three Stripes 1970s tennis kicks named after the Forest Hills Stadium, the home to the US Open and Gram Slam games in 1978. These Adidas Originals sneakers were re-introduced using premium white leather upper with its signature yellow sole and metallic details to make it more appealing. The brand also introduced black sneakers version of the Forest Hill for the modern market. Adidas AF 1.3 Primeknit Boots - These black and white sneakers are presented as the fusion of sneakers and boots which make it very striking for the majority of purchasers. The brand engineered it to suit the cold and wet weather conditions with a slightly expensive price range. Adidas Seeulater OG - The Seeulater seamlessly fused the rugged boot with casual kicks' comfort. The brand designed a sock-like collar to provide ample ankle support and add a futuristic look. Adidas Adi-Trek - These shoes are the high-top version of the favorite Adiease skating shoe. These Adidas Originals sneakers are made of flexible and durable vulcanized outsole that provides superb traction on icy and wet grounds. The brand also inserted features which make these kicks wearable on freezing weather conditions. Adidas AW Skate Mid - Adidas' collaboration with Alexander Wang conceived eye-catching iterations, and one of it is the AW Skate Mid iteration which features modernized take on classic skate kicks. Its chunky and multi-colored sole adds an attractive appeal for the majority of the consumers. 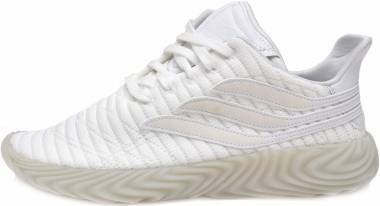 Adidas City Cup - This brand new profile was launched in 2018 as tough skateboarding sneakers taken a cue from the double cup midsole design of the designer Scott Johnson. These sneakers are offered in a stylish look that delivers a sufficient amount of support and stability while staying on-trend. 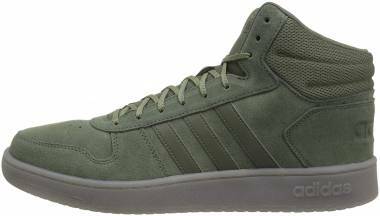 Adidas Extaball - These basketball-inspired kicks display vulcanized rubber outsole with high-top upper dressed in a various range of materials. They boast the retro vibe injected with the right amount of cushioning and comfort suitable for all-day use. Adidas Half Shell Vulc - Drawn from the silhouette of classic basketball shoes, the Adidas Half Shell Vulc was tweaked to suit the skateboarding domain. These vintage-looking Adidas Originals sneakers were commended several times for its lightness and comfort apt for the onboard use while strutting a basketball heritage profile. Adidas Top Ten Hi - These 70s-inspired sneakers dominated the hard-courts in the 70s until the 80s with its high-cut profile made entirely of premium leather. The re-launched iteration still looking fresh and on-trend without sacrificing the unmatched comfort and durability. Adidas Bermuda - These sneakers were first seen in the 70s alongside with its siblings, Adidas Jamaica, Somao, Trinidad, and Tahiti. It was re-launched in 2017 as a voguish lifestyle kick with its premium suede upper and classic serrated 3-Stripe branding. Campus Hairy Suede - The 70s kicks Adidas Samba were revamped with eye-catching hairy suede upper and kept all the classic details such as reinforced toe cap and rubber outsole. Adidas Samba Sock Primeknit - These black sneakers used the 50s football kick silhouette, re-engineered with a modern technology called Primeknit on the upper to provide a snug fit and maximized breathability. These Adidas Originals sneakers stayed genuine to its heritage details such as black dominated colorway seated atop the flexible gumsole. Adidas Gazelle Leather - These soccer-inspired Adidas Originals sneakers debuted in 1966 that can be easily matched with practically any ensembles. With its classic look, some opt to style these kicks with jeans or chinos paired up with a crisp top. Adidas Haven - This 2017 sneaker took inspiration from the 70s running silhouette and displays micro-mesh upper with suede details. This retro-style kick is offered in multiple colorways which buyers can easily choose from. Adidas Iniki Runner - The Iniki Runner was inspired from the 70s running silhouette tweaked to conceive a brand new profile. This model was successful in fusing classic details with modern on-trend style and technologies. Adidas Hamburg GTX - While the Hamburg silhouette has already secured its spot in the iconic status, the brand re-engineered it to make it all weather-ready. These kicks were made of durable, lightweight, and waterproof GTX on its upper. 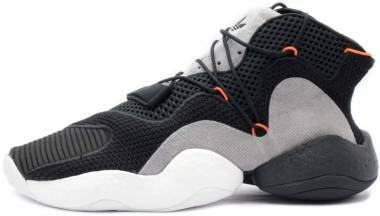 Adidas Crazy 1 ADV Primeknit - These basketball sneakers from 2000 have undergone few revamping to suit the lifestyle fashion. The brand dressed the Crazy 1 silhouette with Primeknit upper with EVA midsole and translucent rubber outsole to give a standout look. 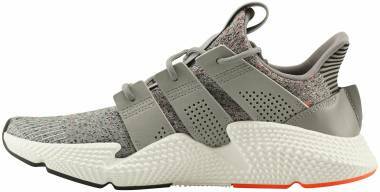 Adidas AW Run Mid - The collaboration with fashion designer Alexander Wang gave rise to on-trend and appealing footwear, inspired from the classic running sneakers. These sock-like sneakers parade its eccentric details, a signature look of Wang's designs. 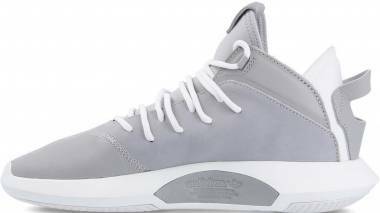 Adidas Crazy 1 ADV - Originally unveiled as The Kobe, Adidas introduced the Crazy 1 ADV silhouette that features a minimalist and futuristic element that will suit the casual fashion. These sneakers used premium materials to deliver utmost comfort and durability that can match the more renowned NMDs and Boost iterations. Adidas Jake Blauvelt Boot - Adidas collaborated with snowboarder Jake Blauvelt to come up with high-top black sneakers. These Adidas Originals sneakers are lightweight, long-lasting, and apt for foul weather conditions while providing comfort. 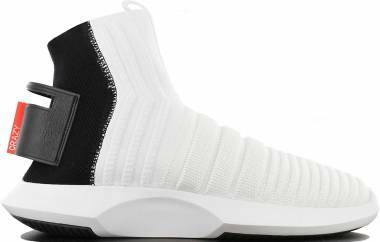 Adidas Crazy 1 ADV Sock Primeknit - These kicks resemble the luxuriously pricey Balenciaga Speed Trainer, were molded from basketball kick reworked to suit the fashionable lifestyle trend. It displays sock-like high-top upper that hugs the feet comfortably and stylishly. Matchcourt High RX - These Adidas Originals shoes were designed durable and robust details to withstand skate abuse. These kicks solidly blended the style and function that can seamlessly blend the street fashion. Kanye West first partnered with Adidas in 2006, but his design was never unveiled. He then moved to Nike and launched their very first product called Yeezy 1 in 2009. But that relationship ended after three years, which then paved the way for West to work with other brands such as Reebok and Louis Vuitton. Fast forward, West and Adidas are both in the cloud nine for their hugely successful and popular releases since their partnership began in 2013. In Adidas, unlike with Nike, West cited that he had more creative freedom which allows him to echo his style and preferences. West also enjoys royalty with every Yeezy sold under the Three Stripes, which he did not enjoy with the Swoosh. Another music artist joined the camp of the Three Stripes in 2014 to create unique sneakers and apparels for the Summer 2014 collection. The brand announced that Williams' collection used the Bionic Yarn - ocean debris that is re-engineered into reusable materials. This partnership began in 2005 by offering high-performance sportswear for a wide range of sports exclusively for the ladies. This innovative partnership provides unique designs with sleek details without sacrificing the exceptional femininity of the women. This outdoor-based label from the Tokyo collaborated with Adidas to release unique iterations that flaunt elements suitable for all-weather conditions. White Mountaineering is known for its highly technical fabrics on its highly fashionable streetwear. Yamamoto and Adidas launched their most influential collaboration in the history of sneakers domain during the debut of the 2003 Spring/Summer collection. 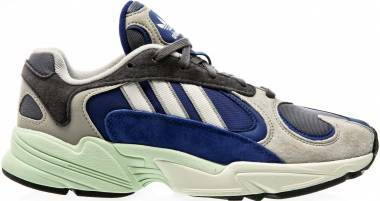 This Adidas Originals sneakers collaboration was named as such as 'Y' stands for Yohji Yamamoto while the 'E' signifies the signature three stripes of the Adidas, while the '-' represents the connection between these giant names in fashion and sports. The Adidas Originals launched the Spezial series in 2013 that is composed of sneakers drawn from the archives of the Three Stripes to echo the rich history of the brand. The brand appointed Gary Aspden, one of the avid fans of the brand from the UK, to curate the collection and to rediscover vintage models to reintroduce to the contemporary market. These Adidas Originals shoes first gained popularity in Europe and gradually turning relevant in the United States' market. The Spezial team reissued classic silhouettes that were given with modern twist geared towards contemporary perspective. Meanwhile, the iterations that are difficult to improve were fused with some classic details to come up with brand new variations. To date, the Spezial collection has secured its significance in the overall status of the Adidas Originals in the market. The collection grows each year and projects to launch a more extensive range of products fitting for innumerable followers' preferences. What is the difference between the Adidas Originals and Adidas Performance? The Adidas Performance uses the iconic 3-Stripe logo and intended for the users who are into sport. This group was tasked to give devotion to the athletes by producing high-quality sportswear such as tracksuits, shoes, dealing with team sponsorships for various sports and any other transactions typical of a sports/apparel brands. Meanwhile, the Adidas Originals uses the Trefoil logo and meant to focus on the casual clothing and sneakers that concentrations on the heritage designs from the 1940s up to the 80s. Also, the Adidas Originals releases new silhouettes that were taken inspired by the retro profile from the Three Stripes' archive. Why does Adidas NEO cost less than the Adidas Originals? Adidas NEO sub-brand was formed to provide affordable yet high-quality sneakers to cater to the younger market. The NEO produces fresh and sleek designs that use less expensive materials without sacrificing the quality. This line is intended for buyers who do not want to shell out too much why staying stylish and comfortable. Furthermore, Adidas Originals concentrated on re-introducing and revamping classic profile. This line not only provides the consumers with classic style but also imparts a portion of the rich history of the company and the silhouettes. This line also uses topnotch quality and craftsmanship, making it more durable and comfortable than the NEO line. Where can I buy Adidas Originals sneakers? 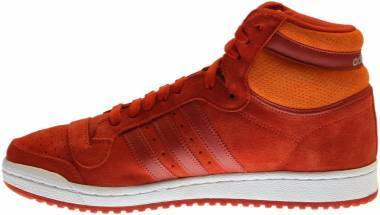 Adidas Originals shoes are widely available worldwide. Almost all Adidas stores around the globe sell Adidas Originals. Meanwhile, some malls and retail stores also sell this line that would give its buyers a chance to try on these sneakers. For buyers who would instead purchase online, they may pick from a vast array of online retailers and fashion sites found on the web that offers Adidas Originals sneakers. What is the size range of the Adidas Originals shoes? Adidas Originals sneakers are offered in men, women, and kids sizing. Most of the sneakers of the Adidas Originals have a size range of 5 to 16 and women have a size range of 5 to 14 in US. Unisex pairs are also offered for the adults and women are advised to take one size down their regular sizes for a more comfortable fit. 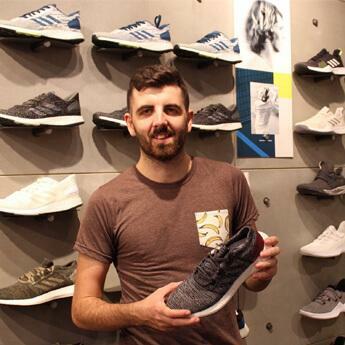 Nic Galway, the designer of the NMD, has been asked this question several times. He revealed that NMD stands for 'Nomad,' a member of a group who continuously relocates from one place to another. That is fundamentally the concept of Galway to create a shoe that can be worn by people who are in endless travel. He desired his sneaker to fit the wandering lifestyle - a life without limitations. He conceptualized engineering Adidas Originals sneakers which people can pack and wear anywhere and accomplish anything minus the experiencing of dragging something along. What is the difference between the Adidas Spezial and the Adidas Spezial Collection? Adidas Spezial is Adidas Originals sneakers that were initially introduced as handball shoe. These kicks are made of high-quality suede upper with a generous amount of cushioning to provide comfort and durability on the indoor courts. These sneakers were spotted worn by the Germany, Holland, and Scandinavian team and quickly turned their favorite kick. Meanwhile, the Adidas Spezial Collection is composed of iconic designs from the past and re-engineered it with contemporary elements for a modern look. This line is composed of shoes and apparel to represent the rich history and cultural impact of the Three Stripes' archive. What does the Trefoil logo mean? The word Trefoil was derived from the Latin word that means 'three-leaved plant.' The Trefoil logo symbolizes the Spirit of the Olympics. The three leaves embody the land massed - United States, Europe, Africa, and Asia. Meanwhile, the intersecting lines across the leaves signify the Diversity. This logo easily turned as one of the most popular brand logos on the entire globe. It was seen worn by renowned athletes such as Stan Smith and Ilie Nastase on the tennis courts. It flawlessly expanded beyond sports as it was seen sported by celebrities and musicians. Why Adidas started the Trefoil logo? Adidas thought of expanding their business into leisure and apparel in the 60s which turned them into conceptualizing a logo that will represent their diversity. In 1972, the Trefoil logo debuted during the Olympics in Munich, Germany. Because of the immense popularity of the Trefoil logo in the lifestyle scenes, the Adidas decided to use the Trefoil logo exclusively to the Adidas Originals in 2001. Aside from sneakers, what are the other products offered by the Adidas Originals? Adidas Originals is a lifestyle sub-brand of the Three Stripes that offers an extensive range of products that suit the lifestyle fashion world. This sub-brand principally gives sneakers, apparels, and accessories that will satisfy the active yet fashionable lifestyle. In their apparel line, Adidas Originals offers tracksuits, hoodies, t-shirts, and shorts. Meanwhile, the accessories line presents caps, socks, bags, watches, sunglasses, and even phone cases.